Dr. Nathan Newman, M.D., Innovator of The Stem Cell Lift®, Cutting Edge Technology without the cutting. Dr. Nathan Newman, M.D., is a world-renowned cosmetic surgeon, as well as a medical spokesman and advisor for Jeunesse Global. Carrying on a family legacy of internationally prominent physicians, Dr. Newman has established a fully-accredited and respected cosmetic surgery practice in Beverly Hills, California. Dr. Newman is constantly striving to develop new and better methods of achieving natural, undetectable cosmetic results, with the least risk and the most benefit for each individual. As an original thinker and innovator, Dr. Newman is ushering in the future of cosmetic surgery by using the natural regenerative abilities of your own stem cell-rich fat to safely and naturally volumize, lift and contour the entire face and body. Dr. Newman’s philosophy on patient care is twofold. In addition to providing the best available care, he is dedicated to educating his patients and introducing to them the latest developments in the cosmetic surgery field. His approach at Jeunesse, is exactly the same—giving the best quality education and information possible to our independent distributors. In this way, he provides a critical service in assisting Jeunesse representatives to successfully build their businesses. 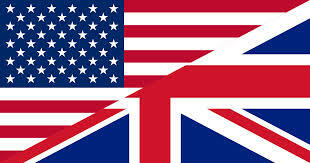 Dr. Newman was educated and trained at several prestigious medical institutes in the United States. After graduating from the Albert Einstein College of Medicine in New York City, he completed his internship in internal medicine at UCLA-VA Medical Center in Los Angeles. Dr. Newman continued his training with a residency in dermatology at Cook County Hospital in Chicago and completed a fellowship through the American Academy of Cosmetic Surgery in Riverside, California. 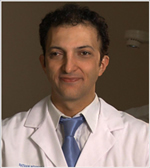 He is board-certified in dermatology and specializes in cosmetic surgery. Dr. Newman is widely published in many prestigious medical journals and has been a speaker at numerous medical conferences. He has also been recognized by Cambridge Who’s Who for his leadership, dedication and entrepreneurship as a cosmetic surgeon. As part of his philosophy to educate his patients, Dr. Newman writes monthly articles in LA Health News magazine. He is also regularly presented on television and radio on the latest advances in cosmetic surgery. Vincent C. Giampapa, M.D., F.A.C.S., medical spokesman and advisor for Jeunesse Global, is a Board Certified Plastic Reconstructive Surgeon and Assistant Clinical Professor of Plastic and Reconstructive Surgery at the University of Medicine and Dentistry of New Jersey. 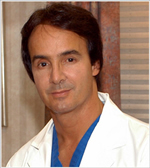 He is Director of the Plastic Surgery Center Internationalé and The Giampapa Institute for Anti-Aging Medical Therapy in Montclair, New Jersey, and is internationally recognized as an innovator in new cosmetic and surgical techniques, and instrumentation. 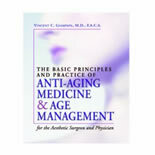 A pioneer in the field of anti-aging medicine, he received his M.D. degree from Mt. Sinai Medical School in New York, New York. Additionally, he has completed medical training in plastic surgery and a year-long fellowship in microsurgery and hand at New York University Medical Center. Dr. Giampapa is a Fellow of the American College of Surgeons and has served as Research Fellow for other prestigious institutes including Columbia Presbyterian Medical Center in New York City, New York. He was also the Director of Microsurgery and Re-plantation Surgery at the University of Medicine and Dentistry of New Jersey. Dr. Giampapa is published in numerous academic journals, including Annals of Plastic Surgery, Journal of Plastic Reconstructive Surgery, Journal of Reconstructive Microsurgery, and Journal of Anti- Aging Medicine. He is a founding member of the American Academy of Anti-Aging Medicine and served as the first President of the American Board of Anti-Aging Medicine. He is also one of the first Board Certified anti-aging physicians in the world. 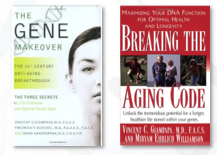 He is the author of the first and only medical textbook on anti-aging medicine and age management for aesthetic surgeons and has written five books, including: Breaking the Aging Code and The Anti-Aging Solution: 5 Simple Steps to Looking and Feeling Young. 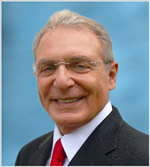 Dr. Giampapa has served as a consultant for NASA and has been awarded many patents from the United States Government for unique cell culture delivery techniques, as well as new drug delivery systems and surgical instrument designs. Dr. Giampapa has been featured in myriad national magazines, and radio and television programs, including CNN, WABC-TV, Fox News Channel, Geraldo, Joan Rivers, Phil Donahue, and Anderson Cooper. Dr. William Amzallag joins the Jeunesse team not only as General Manager of the European Union, but also as a medical spokesman and advisor. Dr. Amzallag has decades of experience in the medical industry as well as 14 years in the field of network marketing; his qualifications are quite extensive for both. He received a degree from the University of Montpellier in France, a degree in Anesthesiology and Intensive Care, and a degree in Chinese Medicine, and previously operated a successful private practice in the south of France. He has a vast scientific and business background in all areas of nutrition and skincare, including but not limited to research and development. Dr. Amzallag is driven by innovative concepts related to holistic and western medicine, food supplements, weight management, and cosmetics. 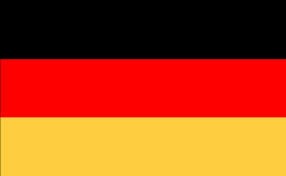 Dr. Amzallag has served as the Vice President and General Manager of Europe for several well-known network marketing companies. Additionally, Dr. Amzallag has experience with recruiting, sales and marketing, manufacturing, formulation design, legal and product notifications, and customer service. 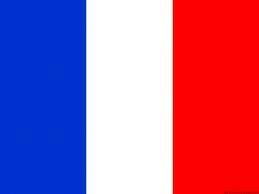 He is fluent in French, English, and Spanish.